JONAS & THE MASSIVE ATTRACTION SINGLE “SEIZE THE DAY” NOW AVAILABLE ON iTUNES IN EUROPE. 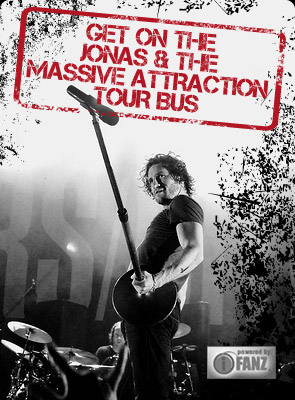 The new Jonas & The Massive Attraction single “Seize The Day” was released in Europe on February 3, 2012 and is getting great response at radio in Germany and Austria. The band’s album “Big Slice” is set for relese through Big Slice Records/H’ART Musik on February 10, 2012 and will be available in stores in Germany, Austria, Switzerland, The Netherlands, Belgium, Spain, Italy and on-line in ALL of Europe. The band’s “Big Slice European Tour 2012” kicks off on February 25th in Copenhagen, Denmark at Beta and rolls through Germany, Austria, Switzerland and the Benelux in March in support the new release.